All countries started to practicing and encouraging digital transactions and this has given rise to Mobile Wallets being used everywhere. In olden days, we use to carry physical currency notes and use for transactions and pay for services or purchase of products. With the development in the latest technologies, the use of digital transactions has been widespread across all level of people. Particularly in developing countries like India, Digitalization of currency exchanges have recorded rapid growth in the finance sector. With physical currency demonetization in India, people started to using Digital wallets for their transactions. Today this wallet service provider business becomes one of the successful business for start-ups. After this demonetization, mobile wallets have grown significantly with more users enrolling themselves every day. A study from RNCOS says current Indian market size of mobile wallet users have gone over 350 crores and still raising. All citizens of India are moving towards a cashless economy, so for that, you need a digital wallet / Mobile wallet to meet your financial and economic needs. 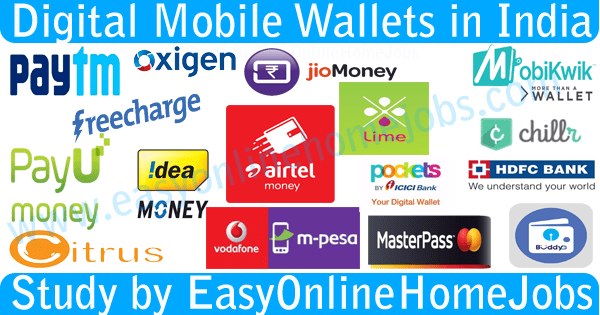 In this article, I am going to give you the list of top performing Digital mobile wallets in India where you can play safe with your financial transactions in this cashless economy. Letz read about their pros and cons, uses of Digital wallets and their services. PayTM is one of the fastest growing mobile wallet company in India with over 20Million customers. They launched in 2010, PayTM itself having a digital wallet where you can store money to make quick payments, purchase any products online. You can use their digital wallet for Online Transactions such as Mobile Recharges, EB bill payments, transfer money to other users, avail services from merchants for Travel, entertainment (movie Ticket booking) and other retail stores. You can pay for your services very quickly with just scanning their QR Code. PayTM was started by Vijay Shekhar Sharma, Chairman and Managing Director of One97 Communications, which operate PayTM wallets India. You can add money to your PayTM wallet, withdraw money, send money to your friends and others and a lot more. MobiKwik was started in 2009, claims to have more than 20million users with 50,000 retailers and more. Their wallet lets you add money using your Debit Card, credit card, net banking and use that money in various retailers such as Snapdeal, ShopClues, MakeMyTrip, RedBus, BookmyShow, Domino’s Pizza, Naaptol etc. You can even pay your recurring monthly bills such as Telephone bills, Internet bills and other utilities. Owing to meet the biggest demand, they are tying up with a more large and small number of grocery, restaurants and other merchants. Freecharge founded in 2010, had become the strongest digital mobile wallets in India with more than 25Million users. They mainly concentrate on mobile recharges which made them boom in a shorter period. A free-charge wallet has been used widely in all merchant services such as Movie ticket booking, Bill payments, recharges (Mobile and DTH) and other services including restaurants etc. You can send payment from your mobile wallet to other mobile wallet and even you can withdraw funds to your Bank account. Use free-charge Coupons to recharge your mobile every time. Search for Free charge Coupons in Google before recharging your account. Citrus Pay is another popular mobile wallet India and their app enables users to store cash, send and receive payments, online money transfers etc. They provide business solutions such as Payment Gateway services for merchants to enable online transactions via Debit cards, Credit cards, Net Banking, Mobile Banking etc. They are now working to accept payments from other digital wallets such as PayTM, Freecharge, MobiKwik etc. 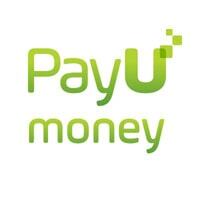 PayUMoney, a Gurgaon-based company that provides digital wallet solutions started in 2015. They enable their users to store cash in their digital wallet and later can be used to spend on merchant purchases such as Paying telephone bills, internet bills, EB Bills and other merchant services such as Movie ticket booking, restaurants etc. They frequently post offers and discounts for every purchases and transaction you make. They provide instant refunds on order cancellations and enable buyer protection to ensure customer rights and satisfaction. Oxigen Services Pvt. Ltd. Launched its first Digital mobile wallet to meet all your payment needs without carrying real cash. India’s first nonbank mobile wallet for instant fund transfer with over 1 Million outlets across India for money transactions. You can do mobile recharge, DTH recharge, Mobile-utility bill payments, and others along with free coupons on every transaction. Send money to bank or friends anytime, Gift talk time to your friends, shop online with 15,000 websites without cash. 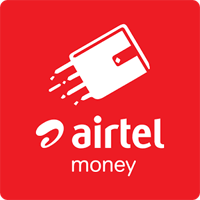 Airtel Communications, India’s Largest mobile service provider have kept their footprint in Digital wallet revolution launched their Airtel Money mobile wallet to make use of hassle-free instant recharges and offers for their mobile users. It also offers an extremely safe digital wallet where you can easily send and receive money to other people. You can make instant Mobile recharges, pay postpaid bills, internet bills etc. Reliance communications started their revolution in this Digital wallet era, launching their JIO Money mobile wallet app in 2016, which enable their mobile users to store cash, send and receive money, pay for merchant services etc. 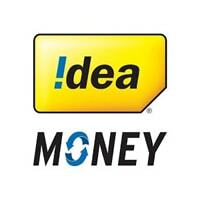 Idea Mobile Commerce Service Ltd. Launches their own Mobile wallet called Idea Money, a secure way to Recharge, money transfer, bill payments, and shopping. You can use this Wallet for making online mobile payments such as Data card recharges, postpaid bill payments, DTH recharges, pay utility bills, transfer money to another wallet or bank account instantly. 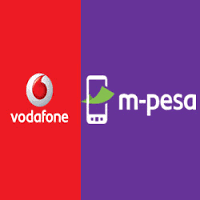 Vodafone m-pesa limited, launched their Digital mobile wallet named Vodafone M-Pesa, where you can make safe and hassle free transactions with your smart phone. You can make recharges, pay Pre-paid and Post-paid bills, DTH and EB Bills. Moreover, you can enjoy 5% cash back on every transaction you made through their mobile wallet. To do this, just load money in their wallet using Debit card, credit card, net banking or mobile banking. They are having nearly 1,20,000 outlets across India which offers cash withdrawals from their Digital Wallet. 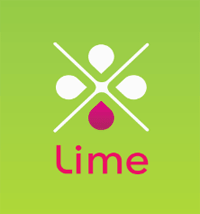 Axis Bank, third largest private sector bank in India launches LIME Digital mobile wallet in 2015. A new world of experience through Mobile Recharges, bill payments, online shopping experience, Utility payments etc. This app can be used by both Axis Bank account holders and non-account holders. You can add money via Debit card, credit card, net banking for all leading banks such as Axis bank, ICICI Bank, HDFC Bank etc. You can send and receive money through this wallet, make online shopping etc. 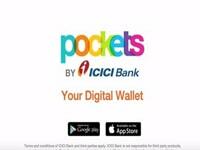 ICICI bank limited launches their own digital mobile wallet named ICICI Pockets which features such as Pay Anyone, Shop Anywhere, Bank with Ease with any bank customers. You will get free Virtual Visa card that can be used in all online payment gateway such as Citruspay, PayUMoney etc. You can even request for the physical card also to pay for local POS Merchant sales. Same like other mobile wallets you can use this for Mobile Recharges, Bill payments, and other utility payments etc. A one stop solution for Digital mobile wallet from HDFC limited named Chillr. They offer multi-banking payment services which include major nationalized banks in India. You can load cash in your Digital Wallet which gives you the power to transfer funds, send and receive money, request payments, and mobile recharges, bill payments etc. Citi bank India and MasterCard united together launched a mobile wallet “Citi master pass” for faster and secure online shopping. They clubbed with 2,50,000 merchants for online shopping enabling faster checkouts with one click payment solutions through your Debit cards, credit cards etc. State Bank buddy first Indian Mobile Wallet Application available in 13 languages. With their wallet app, you can recharge and pay bills instantly, buy tickets, use to pay POS merchants etc. at free of cost. 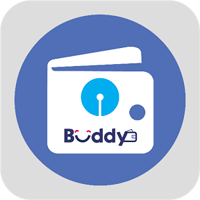 You can even withdraw your money to your bank account from SBI buddy. They offer 24×7 Hrs customer support to give their best services. Let’s support cashless economy and use Digital Mobile Wallets for all transaction including Mobile Recharges, Bill Payments, DTH Recharges, Utility Payments etc. The digital platforms have developed a lot and many people have already transformed themselves for digital transactions. After the invention of digital mobile wallets, the financial transactions become much easier and were available round the clock. This article spread a few lights over the digital improvements to enlighten the new inventions on the market.